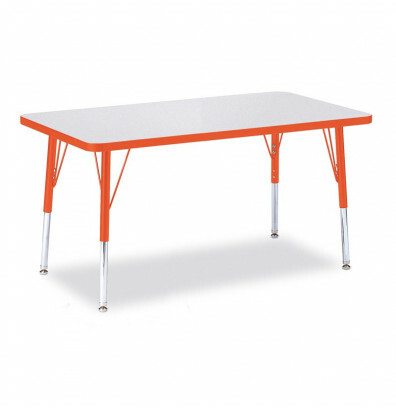 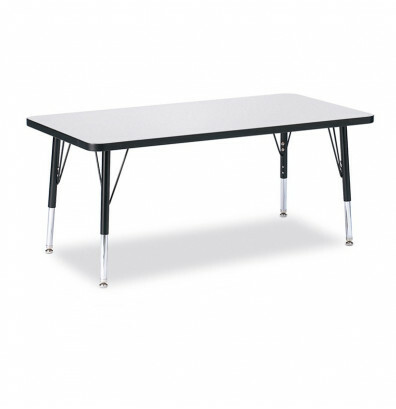 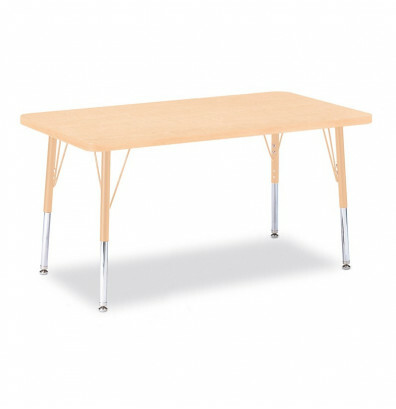 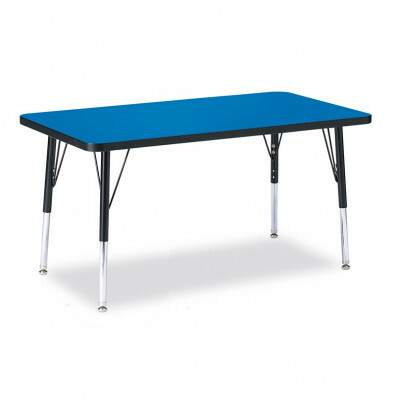 Jonti-Craft Berries 36" x 24" elementary classroom activity table offers a durable, scratch-resistant, and easy to clean surface well suited for group activities. Extra-safe dual-screw legs adjust in 1-inch increments and feature quick- mount brackets for easy installation. Legs are powder-coated for long-lasting use. Leveling glides reduce noise, prevent snags, and are rust-resistant.